Melt the butter in a pan over medium heat and add the flour, mixing well on the heat and add the milk, bring to a boil obtaining a smooth béchamel. Add Provolone previously cut into small pieces and let it melt to get a fondue. Cut the zucchini into thin sticks and quickly sauté in a nonstick pan with olive oil. Cook pasta in salted water until al dente, drain and place on the plates. 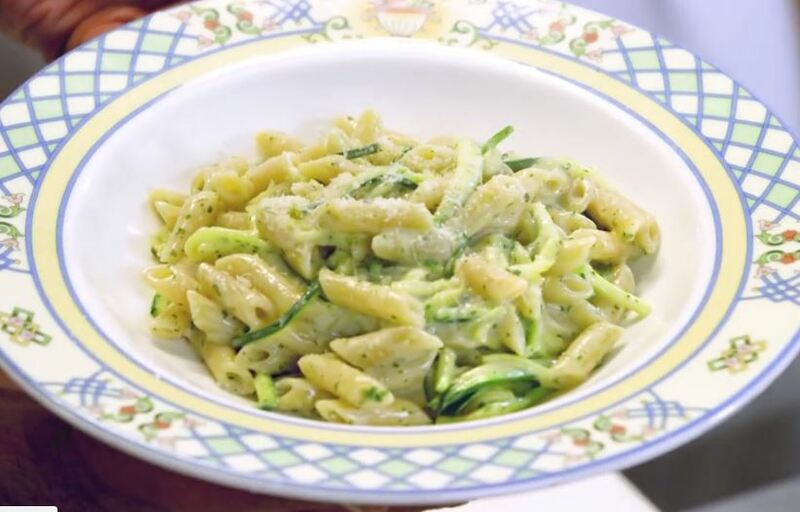 Dress the area with fondue and add the zucchini, garnish with diced provolone and serve.